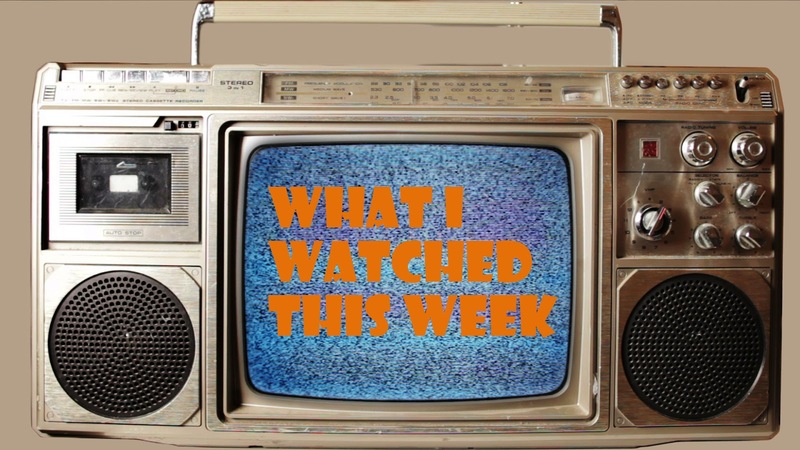 Down to You was a tough watch and it all comes down to...well everything (couldn't help it). It's as white a movie as they come, even with the embarrassing Al Green dance scene. There are actually multiple scenes where the characters dance and mouth the lyrics and each time it happened I wanted to dig a hole through my living room floor and hide in shame. Anyhow, the story truly is the product of the Hollywood rom-com machine and lacks any sense of realism and the format of having the main characters narrate during the film fails miserably. Few romantic comedies have made me scratch my head as much as Down to You has which is a testament to the exceptionally bad writing. 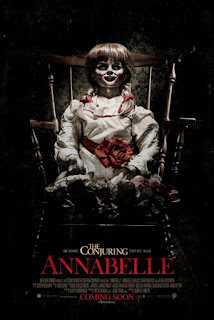 I really didn't expect to like Annabelle, but I'm kind of in this weird spot where I don't really like it, but liked certain bits of it quite a lot. To get the bad out of the way, I totally agree that the story is a bit forced. No sane person would want to keep that doll anywhere near their baby and the reason that Mia (Annabelle Wallis) gives for keeping it is pretty lame. It's also very easy to criticize the decisions people make in Annabelle, but the thing is, there were some very well constructed horror scenes. It's true that Annabelle treads way too closely on territory already covered by Rosemary's Baby, but what can I say? Imitation is the sincerest form of flattery after all. The ending's a disappointment however. I'm probably suffering from a bit of DC fatigue and all I can say is that Batman: Bad Blood didn't help. Action in a movie like this is obviously important which is why I was pretty disappointed with the level of apathy I felt during every single sequence. 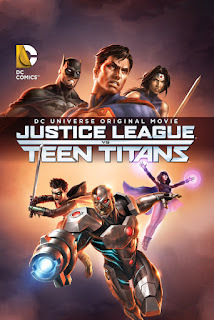 The animation is even quite bad for DC Universe animation and there were just way too many characters, making it impossible to really care about any of them which is partly because of the tight running time. The villain's plot is a little bit too ridiculous for my liking and the climax just doesn't get the job done. 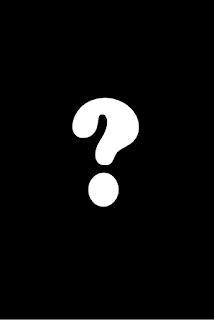 Above all, dullness is BB:B's biggest problem. 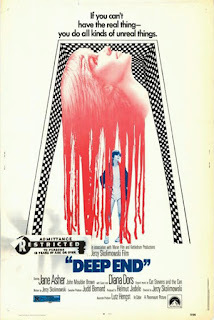 Deep End is the kind of movie that makes wading through all the muck of mediocre to bad movies all worth it. First of all, the mise-en-scene is absolutely gorgeous. 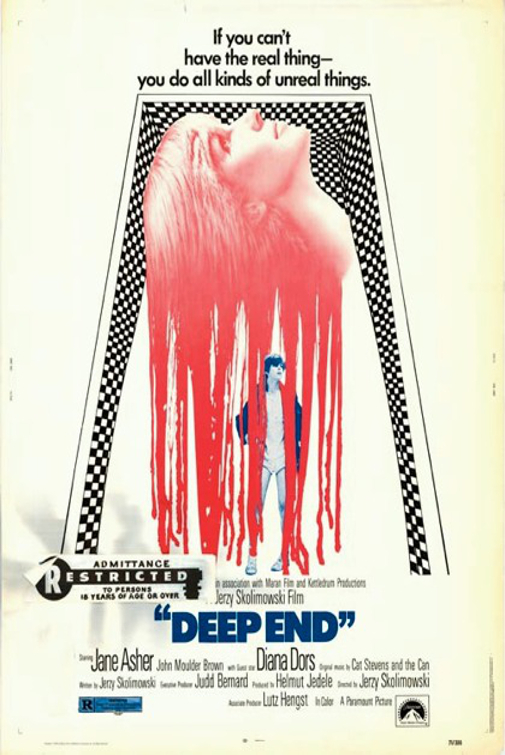 The colours pop out in such a pleasing yet gritty way and there's no doubt in my mind that Deep End is one of the best looking films I've ever seen. The story is compelling and the climax is one of the most shocking I've seen in recent memory. Both John Moulder-Brown and Jane Asher are A1 and they do a great job at portraying their characters in crucial scenes, but also in these every day kind of situations that they find themselves in. Deep End is the kind of movie that will leave an impact and for that it's absolutely worth a watch. It was hard not to be astounded at what I was seeing when I was watching JLvsTT. 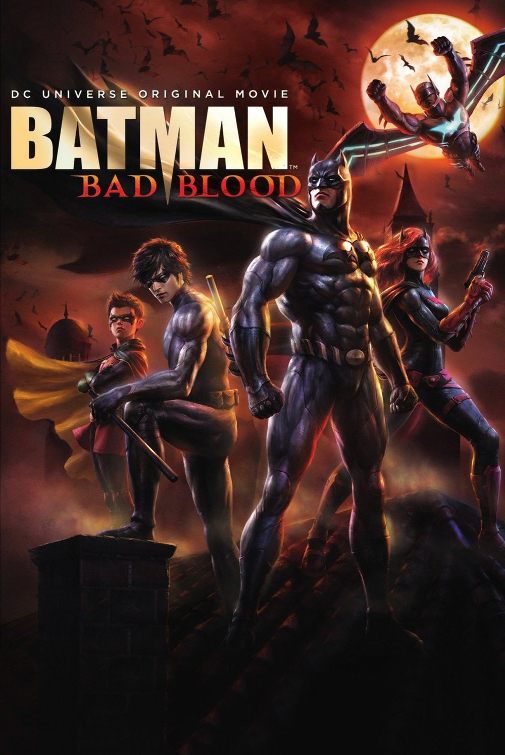 There is just no way that this is targeted at the same people who enjoyed entries like Batman: Under the Red Hood, Batman: The Dark Knight Returns, or Justice League: The Flashpoint Paradox. What happened? The scene that comes to mind first when I think about JLvsTT is this musical dance off between Damian (Robin) and Garfield (Beast Boy) that seemingly went on forever. The humour is weak and above all, the fight sequences are bland and uninspired. The entire film feels like a couple of cartoon episodes tied together and has me very concerned for the future of DC animation. Leisure is all about the history and future of leisure in human society and while that may sound kind of boring, it's actually not. The film itself is kind of similar to the Best Animated Short winner of the year before (Great (Isambard Kingdom Brunel)) in the sense that it's educative and has a similar collage-style of animation. It's not a particularly good-looking style of animation, but it is nice to look at all the same. Leisure has its amusing moments and its moment of learning. Along with some solid narration and some very fascinating observations, Leisure is definitely worth a watch. After finishing up all the DC Universe films and feeling a bit burnt out to be honest, watching The Spectre was a nice change of pace. Clearly DC was trying to measure fan interest with this one since the Spectre is definitely a more niche superhero. I've never heard of him, but I will say that I'm glad I do now. While the short itself is perhaps a little too predictable for its own good, the story is still pretty interesting, it's got a pretty cool noir style to it (complete with added graininess) and the Spectre himself makes for a compelling figure. Based on this short, I'd be up for a feature-length film on the character. Time will tell if we ever get one though.